…to Paul Spratt and Barry Duce who spent a lot of time and effort using their talents to make a great start on the Committee Boat refurbishment. She is already starting to look more ship shape. Also thank you to Gordon Sanders and Tony Clarke who have cleaned out both displacements ready for painting and antifouling. Valentines day is fast approaching, why not earn some brownie points and book your table at the club now! For those who are interested, some photos of the racing on Sunday the 17th are available here – courtesy of Neil Hurrell who braved getting his shiny new camera wet! Can help me I have safety boat duty on ss7 crew on the 25th April but i’m not around that weekend. Can do any Saturday just cant do Sundays even nice weather ones!!!! You can now download Newsbuoy from the link at the top of this page, you can forward it to those friends who may be in other parts of the world for them to keep tabs on TBYC. Thank you everyone for your support and keeping me in the media both on the website and in the press. Well Alex and Jess are now back from Buenos Aires having had the trip and experiance of a lifetime. I hope you all were able to follow the event on the Argentinian Website as posted. There were lots of photos and articles posted daily. As some of you know from experience the sailing conditions in B.A. are extremely hard. They had all wind ranges up to force 5, which is rare for that time of year. The water is very shallow and because of this it is extremely choppy. 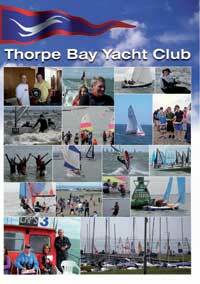 Couple that with a stronger tide than at TBYC and you’ll find its very tricky to get a cadet moving forwards!! They had a rocky start but put in some decent results in the mid week. A black flag (pushing too hard!) made them carry a 35th which put the stoppers on a top 20 finish. Sadly a bad last day put them 26th overall. All said and done, they qualified for the British Team in a tough race series throughout last year. The experience and what they learnt sailing in Argentina will stay with them for life and hopefully stand them in good stead for the future. All this could not have been possible without the fantastic support and help from this club and friends and family. We were overawed by the level of support. To be part of a club such as this is a truly great thing and we are very grateful to everyone for their kind donations. AFTER THE LAST RACE (THE 10TH) CHRIS FINISHED 20TH OUT OF 60. THE INTERNATIONAL COMPETITION WAS TOUGH AND THAT WAS A VERY GOOD RESULT. IN A FEW RACES HE DID MUCH BETTER THAN THE 20TH POSITION ON COMPLETION BUT GENERALLY HE WAS FAIRLY CONSISTENT AT THIS LEVEL. A VERY SATISFYING OUTCOME. THE UK CONTINGENT STUFFED THEIR 11 BOATS BACK INTO THE SHIPPING CONTAINER YESTERDAY AND HIS FLIGHT OUT IS ON THURSDAY – ARRIVING BACK IN THE UK EARLY FRIDAY. SOMEHOW THE “ECHO” GOT WIND OF IT AND GAVE CHRIS A GOOD REPORT IN THE WEDNESDAY ISSUE – EXCEPT THAT THEY CALLED HIM THE SECRETARY INSTEAD OF SAILING SECRETARY . Ricky Macgregor kindly brought this to my attention, having watched many of the London Boat Show yachts sail past TBYC, heres one on route to Excel that didn’t quite make it.